If singer-songwriter Don McLean eats gluten free, I'm sure he would consider going to America's Pie in West Chester (323 E. Gay St., 484-947-5115), which has pizza (made in a separate area), bread for sandwiches, cookies and muffins on the menu. There are also chicken tenders available, but be aware that they're prepared in a shared fryer. Basil Leaf, the 100% gluten-free Asian restaurant in Newtown, has closed. The owner wrote on the restaurant's Facebook page that he hopes to open in a new location. My annual list of gluten-free concessions at pro baseball stadiums was posted on Tuesday. In addition to the dedicated stand in Philadelphia, several other ballparks have new items for the 2013 season. Also in that post is a list of Celiac awareness nights scheduled for various ballparks this year. 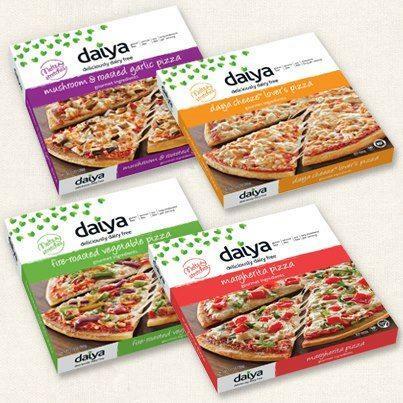 Daiya has unveiled its first frozen food product: gluten-, dairy- and soy-free frozen pizza. The pizza is made with an organic crust and organic sauce, and toppings that include roasted vegetables, Shiitake and Crimini mushrooms, and fresh basil. Four flavors are available – Cheeze Lover’s, Margherita, Fire-Roasted Vegetable, and Mushroom & Roasted Garlic. All Daiya products are vegan and are free of the top eight food allergens including dairy (casein, whey and lactose), soy, gluten, eggs, peanuts and tree nuts (excluding coconut). The pizzas can be found at Whole Foods markets for $9.99 each. Readers who have tried the rich gluten-free brownies and crispy chocolate chip cookies from Tate's Bake Shop (the latter are sold by Trader's Joe's under its own name) know how delicious they are. On the strength of that popularity, the Long Island, New York bakery will launch a dedicated gluten-free facility next month. 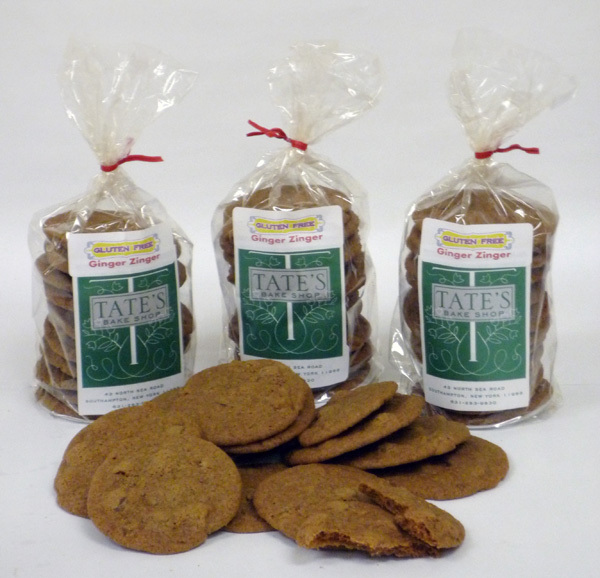 Owner Kathleen Tate will expand gluten-free production with new Ginger Zinger and Double Chocolate Chip cookies. If they're anything like the bakery's gluten-free soft hot dog and burger buns, then Kinnikinnick's new bagels - boiled the old-fashioned way - should be a hit. They come in plain, cinnamon sugar and blueberry varieties and are also dairy free, nut free, kosher and vegan. 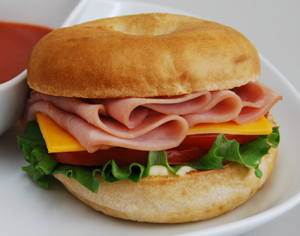 The bagels will be making their way to supermarkets and natural foods stores soon, but are now available for home delivery via online ordering. Kinnikinnick charges a flat fee of $10 shipping with a minimum $50 order. On May 8, Lankenau Medical Center in Wynnewood (100 E. Lancaster Ave.) will welcome a panel of medical experts to discuss the latest news in Celiac disease diagnosis and treatment and the gluten-free lifestyle. The event, which runs from 11:30 a.m. to 4 p.m., will be hosted at Lankenau, with satellite locations at Bryn Mawr and Paoli Hospitals. The event is free (lunch is included) and online registration is available.